It’s the most wonderful time of the year, almost! 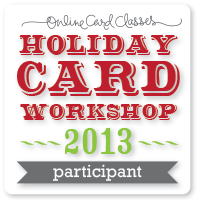 What it is time for is Online Card Classes Holiday Style class and day one was all about Clean and Simple cards and that is something that I can really get on board with it. Now me, I fell in love with Laurie Wilson’s design in the class. Her designs are all about thirds and I really like the look of it. 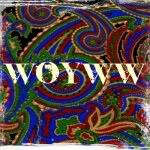 I think the horizontal is my favorite though, something a little quirky about it! I foobared one of the lines lol, went a little further away than 1/2” but it is a handmade card after all. I can see myself using this design for a lot of different card types! I used Tim Holtz distress inks for the color block part. Now I’m off to get inky! Beautiful cards Angie! Love it when I get to use something I've been hanging onto for awhile. All your recipients will be super lucky to get a Christmas card from you! These are lovely. It's such a versatile design, and you took full advantage of it with these two very different cards.